Although donations made from time to time are significant , we need - for the survival of the center Sagarmatha – to be helped by donors who engage with us for several years. Our association offers the opportunity to subscribe for child sponsorships. But we also want to find people who sponsor the center as a whole: this choice allows to reduce inequalities between children and to facilitate administrative work. A regular monthly donation (25 CHF , 50 CHF , 75 CHF per month, or more according to your possibilities) will be highly appreciated . To do this, simply create a standing order with your bank. Thank you in advance! All donations made to the Swiss Organization Sagarmatha are now tax deductible. We have been recognized as a registered charity after having satisfied the strict requirements that are necessary to obtain such a legal status. When you make a donation, you will automatically receive at the end of January each year, a receipt for the donations that you made the previous year. This receipt can be attached to your tax return. If your donations amounted to less than 100 CHF, you must specifically ask for the receipt. Leaving all or part of your estate to a good cause is easy in most cases. 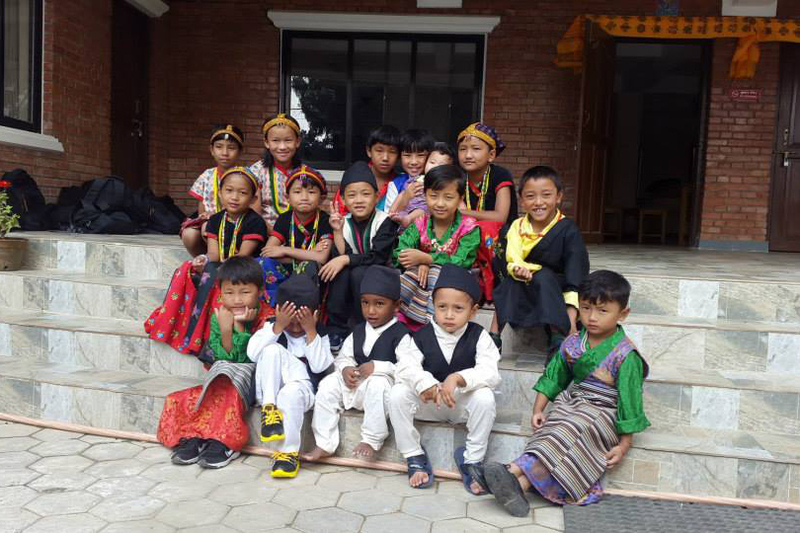 With a bequest, you guarantee your long-term support for a project and can help us to make a lasting contribution to improving living conditions for the children and young people of Sagarmatha. For more detailed information on inheritance law, we recommend that you contact a lawyer in your canton. The Nanda Devi Beauty and Wellbeing Centre at Fournex sells 100% cashmere pashminas whose proceeds go to the Sagarmatha children. Address: Grand Rue 47, 1297 Founex. For any information or to make an appointment, please contact Myriam, the manager, on 022 960 50 30.